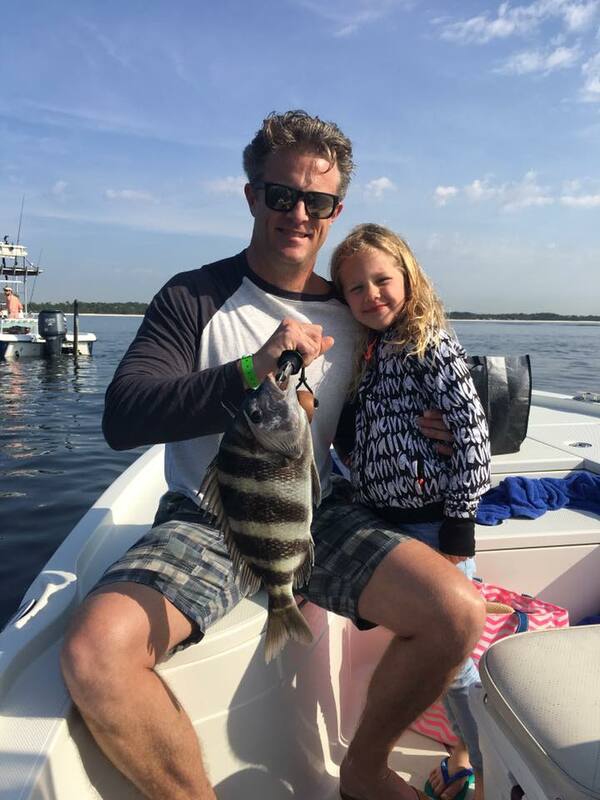 Anglers are catching a fair amount of sheepshead in Pensacola Pass, but don’t go out there expecting to catch a limit in short time like you did a couple of years ago. The bite can get slow so at least make sure you have good live shrimp or fiddler crabs. Quite a few speckled trout are showing up on the grass flats and if the warm weather sticks around the bite will get good in no time. I would suggest just using artificial lures like Mirrolure Mirrodines or Berkley Gulp soft plastics. It looks like the seas out in the gulf this weekend are going to be a bit on the bumpy side so it will probably keep a lot of boats at the dock. If you go bottom fishing anytime soon just remember that triggerfish, red snapper, gag grouper, and amberjack are all closed in federal waters, but amberjack still is open in state waters. A few cobia were caught this week and it will only get better as the weather warms up and we move into April. If you’re going it’s a good idea to have a couple of different baits and always a few eels. Surf fishing reports have varied from one person to another, but there are a fair amount of pompano and whiting being caught by pensacola fishing charters. Fresh shrimp or live sandfleas are your best bet for baits and just try to find a good hole or washout off the beach. It’s about time to start looking for cobia and pompano on the Pensacola Beach Gulf Fishing Pier and Navarre Beach Fishing Pier. If you’re going out there just be sure to have some pompano and cobia jigs in your tackle box. Anglers have been doing well with bass, crappie, and bream on the local rivers. You can expect for the bass fishing to get really good over the next few weeks both on the local rivers and in lakes and ponds.